This is a review of the Pinnacle casino and it will give you all the information you need to know ahead of signing up with them. We will look at their live casino, mobile betting options and of course the range of games that are available for you to play. One big positive of the Pinnacle casino is the number of games they have on offer for players. Whether you are a slot player, or you prefer to head to the tables and try your luck on the roulette wheel or with the blackjack cards, you will find something you can enjoy. 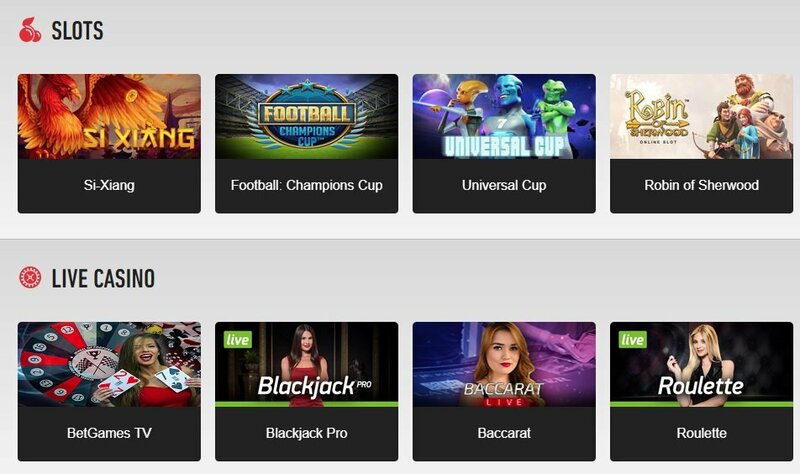 Those who like to play video poker are going to love the different versions of that game on offer here, and this is probably the best section of their website. Those looking for the ultimate casino experience should head into the live section of the Pinnacle casino. Here you will find live dealers spinning the roulette wheel or dealing the blackjack cards, enhancing your gaming experience. With other players taking part alongside you, the thrill of playing inside a casino is something that can be replicated in your own home. We found the streams to be of very good quality in the live section, and the studios used are very similar to those used elsewhere. The dealers inside each game responded and did their jobs well, with everything appearing clear and easy to understand. Pinnacle have one app that covers both their casino and their sportsbook so if you download this and you are a player on both, you only need one app. To enter the casino press on casino after the app has loaded up and from here you can choose your games. The app is very responsive and easy to use, although there are only 25 games on there at the moment. This is disappointing, and has prevented their app from scoring a full five out of five in this section. The app can be downloaded with ease on both the iOS and Android operating systems. This means it is accessible to the majority of people, and if you want to take your gaming on the go with you then this app is something you must download onto your phone. At the moment Pinnacle do not offer a welcome bonus to their new players. However, they do have an offer that both new and existing players can take advantage of every single time they play inside the Pinnacle casino. This is an unlimited cashback offer, which is usually set at 0.3%, although you will find that this varies depending on the game you are playing. With this offer, you will get 0.3% cashback when playing, and this can be returned to your account straight after you have played. To redeem the offer, click ‘options’ then ‘rebates’ in your account and you can enter the amount you wish to transfer into your account. Should you have any problems while you are playing with Pinnacle then you will have to get in touch with their customer service team. The downside of this is that they are only contactable by one method, which is not ideal and limits people. This is hopefully something that can be changed in the future, but as it stands, email is the only option if you have a problem. The good news is that when you do email them, you can expect a response back very quickly. Their email customer service team are available 24 hours a day, seven days a week so there will always be someone answering the questions that get sent into the team. When on the Pinnacle website, if you require any assistance it may be worth taking a look at the Pinnacle FAQ section. Here you will find information about the most common issues that players face when playing, and the answer to your question could be amongst them. During this Pinnacle casino review, we found many different payment types available for punters to use. If you are familiar paying online to play inside casinos, or even just generally paying for goods online then you will know and probably have used some of the payment methods that are listed on Pinnacle. When it comes to withdrawing your funds from the Pinnacle casino, the amounts are very good and players should have no problem reaching the minimum required. Each player gets one free withdrawal per month, but after that you will be charged a fee to take funds out of your account. The fee is a minimum of £8, and that makes withdrawing expensive if you want to withdraw a small amount. When writing this Pinnacle casino review, the games they have on offer was one of the best things about their service. The live section inside their casino also looked very good, and many people are going to enjoy that and the games available. Their mobile app is very good, although it could do with more games to give greater choice when players are away from home. Their customer service team is only contactable by email, but the good news is that they are open 24 hours a day, so someone will be on hand to reply to you.